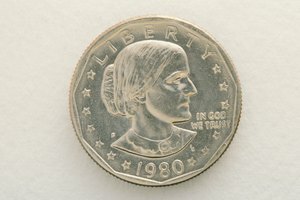 Who Was the First Woman to Be Honored on a Coin? The main work duties on a typical day consist of modeling various lingerie and clothing for use in the monthly catalog. The model usually arrives very early in the morning and gets her hair and makeup professionally done. Afterward, she puts on the clothes selected for her by the stylist. The clothes are steamed and fitted for optimum appearance. Once the full look is achieved, she gets to work modeling the various outfits for the photographer. The modeling process may take several hours and even last the whole day, especially if any changes are necessary in the hair and makeup. 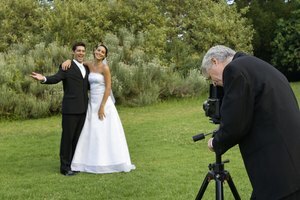 Besides modeling for the catalog, the model may also have some shots done for the national ad campaign. On alternate workdays, a Victoria's Secret model may be engaged in a number of activities for the lingerie company, including walking the runway at a fashion show and making in-store and personal appearances to promote the brand. Runway shows usually only occur once a year, whereas promotional appearances may occur about 6 to 12 times a year. A typical runway show will involve getting hair and makeup, putting on at least three or four outfits each and walking down the runway in front of photographers, press, buyers and editors. Promotional appearances consist of giving interviews about the brand to various press outlets, endorsing products and signing autographs for fans as a way of keeping the brand in the spotlight. Hira, Maggie. "How Does a Victoria's Secret Model Spend a Work Day?" Synonym, https://classroom.synonym.com/how-does-4570021-secret-model-spend-work-day.html. 07 August 2017.